Optitron instruments and a 6.1" touchscreen make the 4Runner's instrument panel easy to use during exciting outdoor adventures near Madisonville. Enjoy leather upholstery, heated and ventilated front seats, a power moonroof, and more in this luxurious edition of the new 4Runner. Available SofTex seating is a highlight in many Toyota 4Runner reviews, and power adjustable seating comes standard with all trim levels. 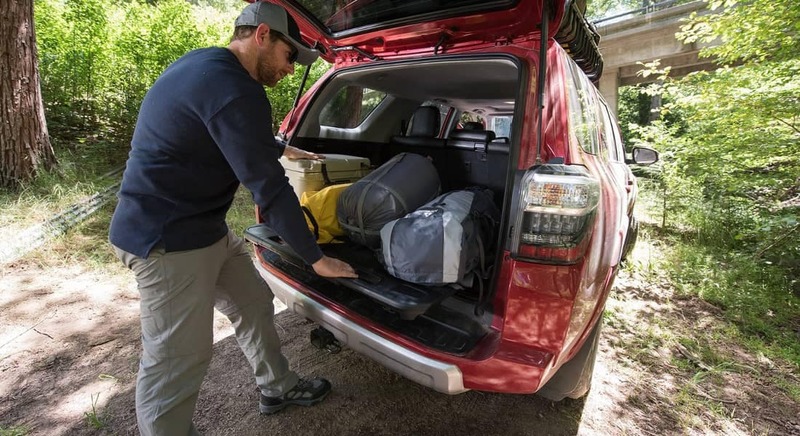 All 4Runner models have the features Hopkinsville adventurers need, including a 120V/100W/400W AC power outlet and up to 12 cupholders. If you’re planning to enjoy off-road trails in Kentucky anytime soon, the 4Runner should be at the top of your shopping list. Before you visit us, compare the Toyota 4Runner vs. Chevy Equinox.